In the coming era of Peak Oil and Climate Chaos, we are starting question how far we should travel. We have a vital message to promote – that the single most simple and effective step that an individual can take to counter climate change is to adopt a vegan diet, but how much fuel should we burn to say so? 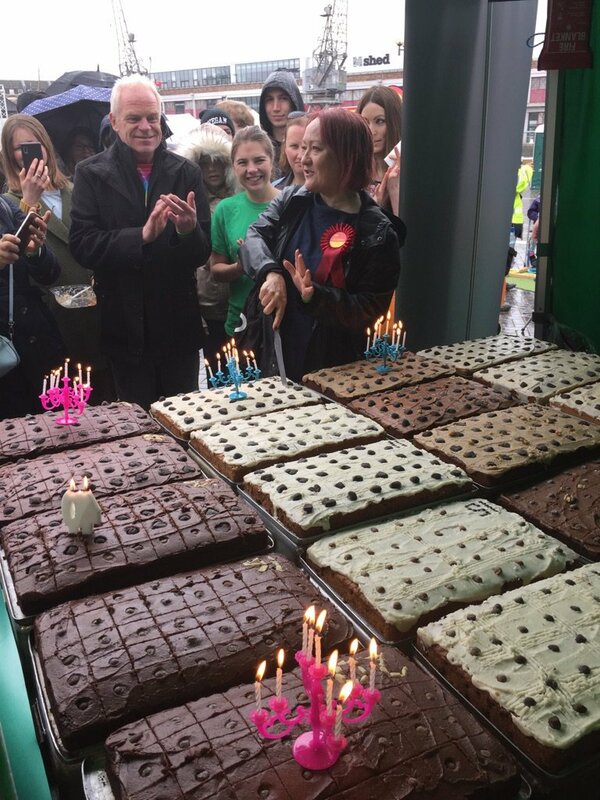 As we already have more requests for our services than we can cope with, should the next stage in our campaign be to share our 25 years of experience and our reputation as ‘Best Vegan Caterer‘, to help the growing number of not-quite vegan caterers to ease our workload? 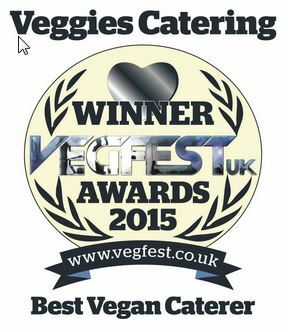 We already compile a directory of other caterers on our website, but we would like to know what it is about Veggies that makes us ‘the best’. 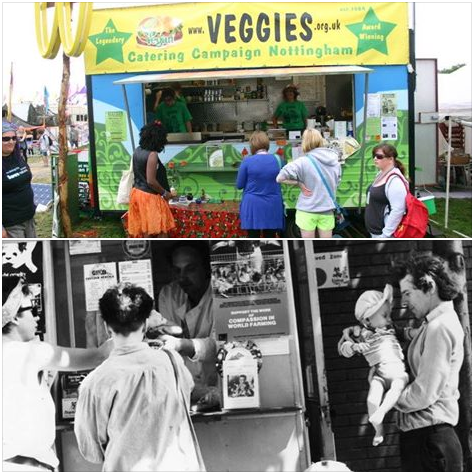 We are therefore drafting a questionnaire to gather feedback from event organisers, customers and VeggiesVolunteers. The first section asks about Veggies general aims and policies, whilst the second section asks what makes Veggies Catering unique. 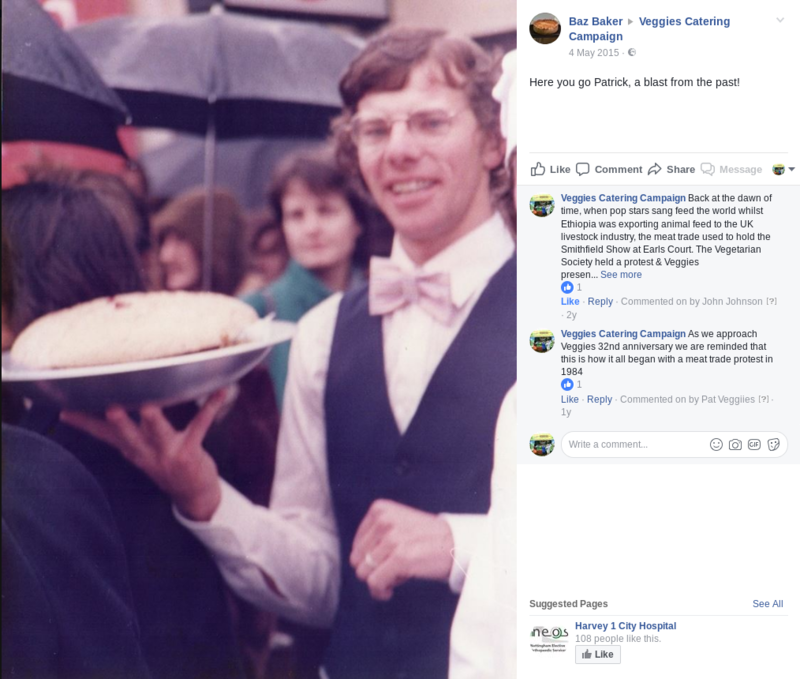 Once we know why event organisers and customers value our service, we can use that information to begin veganising other caterers, until there is an alternative to Veggies in at least every county, if not every town and city. The first responses are in. 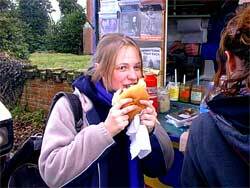 1. can rely on veggies to get some lovely food and which will keep customers going for the day. tasty and worth the money. 3. tasting great Veggies food is a mind-expanding experience for non-veggies. 4. What is there NOT to love about Veggies? 5. lovely honest food with no need to worry what we are eating we know its good! 6. Tasty, nutritious and affordable. 7. 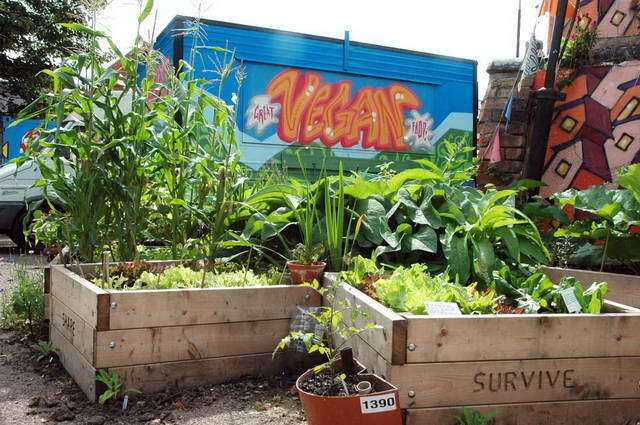 Great to see an ethical, green caterer creating great foods, helping in the wider community and bringing about a greater appreciation of vegetarian/vegan lifestyle and other critically important matters such as climate change, etc. 8. VEGAN FOOD!!!! good quality, and moral thought about what it is that you do. 9. 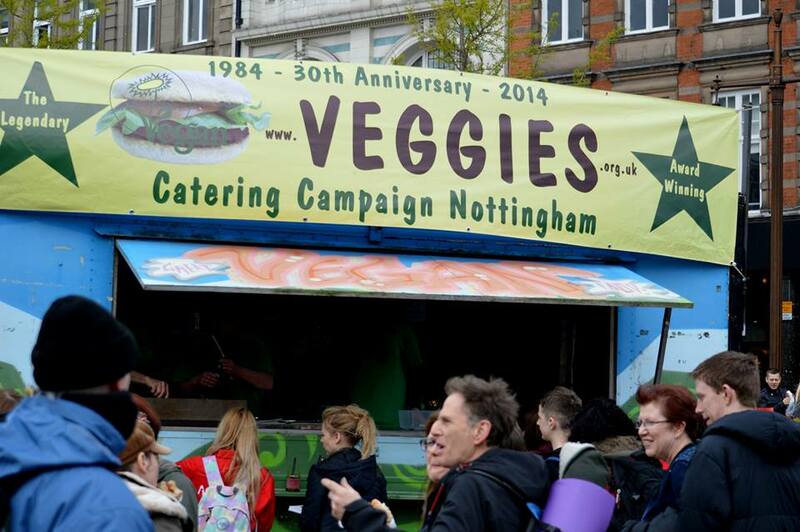 …you see the van arrive at an event and you know there’s going to be great veggies food! 15. Veggies does great work. 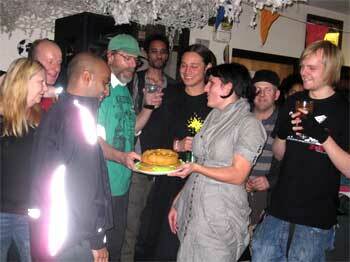 17. because its friendly and because the food is great and fancy free. 18. The variety of Vegan Food. 22. of the whole lot of it. 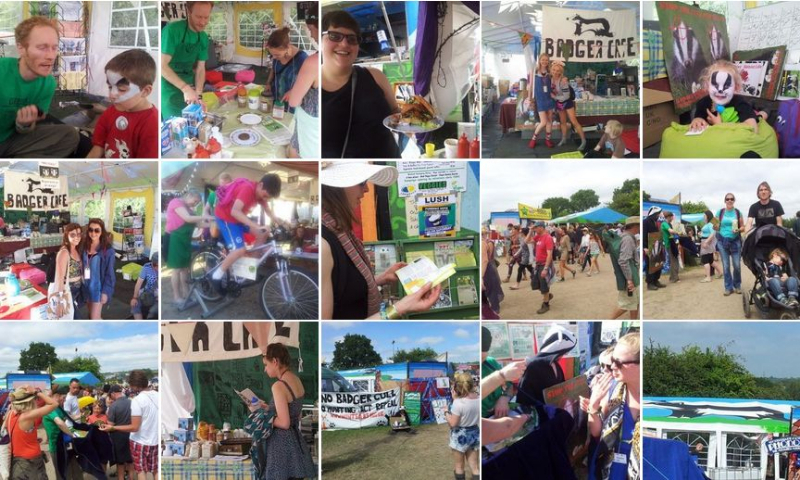 because you’re committed and part of the movement and you can be relied on to have yummy food. 28. What else would we do? 30. 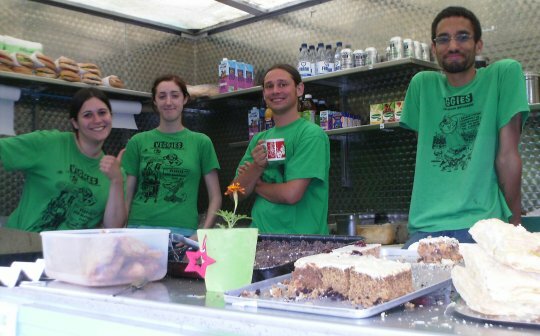 It is the most ethical food vendor I have ever come across. Exclusively vegan, and promoting animal rights at every opportunity. 34. it is tasty food and so little veggie catering around. 35. veggies loves us ! 37. They help save the planet and there small and big at the same time! 38. It serves good food, sends out an important message showing people that you don’t need animal products for nice food, and the Veggies people are great. 41. Ethic, commitment, food, everything. 42. you are up for giving anything a go… including serving food in the most trying circumstances. 43. Totally reliable. Always a cheery light in a sometimes dark world. 44. An ever-evolving unit of reassuring ethical craziness in an increasingly grey-suited, destructive and shallow world!